Rolling waves, cool breeze, birds chirping, sun shining. Ahhh, the ocean! No wait, that’s just what we think about when we look at the pacific blue label material! Gotcha! Bright, vivid, yet charming and serene. 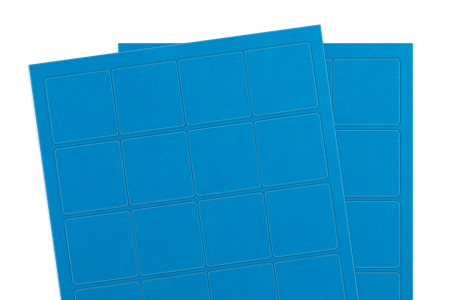 Choose to incorporate the pacific blue material into your next labeling project and project beauty and peace.